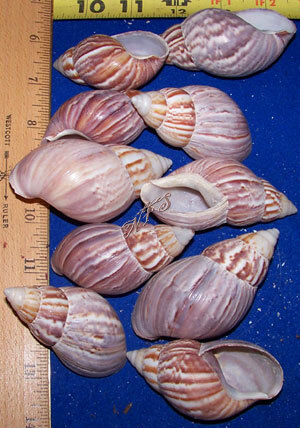 Japanese Land Snail - Great for hermit crabs or crafts. These shells are great for hermit crabs or crafts and so much more. My hermit crabs love these shells and moved right into them. Thank you for a job well done. I will order from you again. As low as $.3.59 ea. With Shipping. Prices vary by quantity + Size. Price varies by lot size.